If you have any questions or want to enquire about dates, use our form to contact Aisling Anderson or see their website for more information. Follow the babbling Mill Race to a quiet corner of Hawes to find this beautifully converted piece of Wensleydale history. 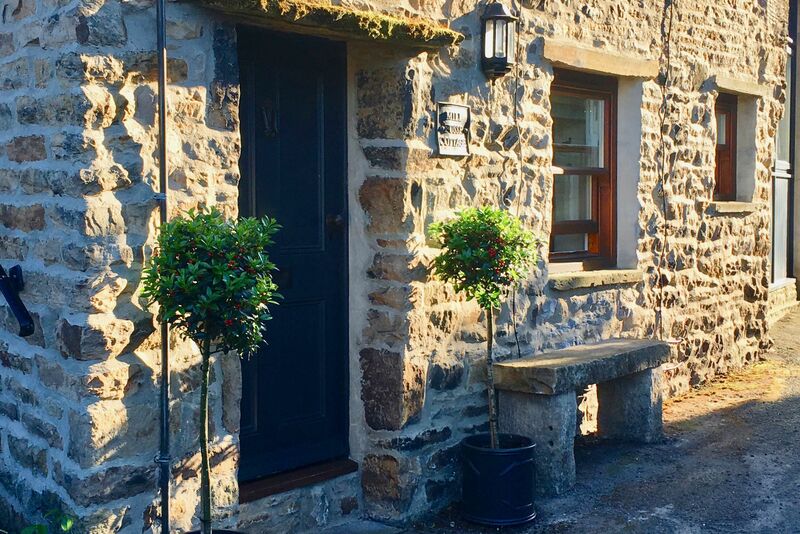 The old Mill Fosse Cottage, with its blend of quirky touches, thick stone walls, flagged floors and exposed beams, is a snug, stylish retreat. Within a couple of minutes, you’re in the heart of Hawes. Visit the Wensleydale Creamery and Museum, browse the antique shops or have a lazy lunch by the river. The Dales are ready to be explored, or you can take the short walk to Hardraw Falls and the pub next door.Two people can spread out a bit here. 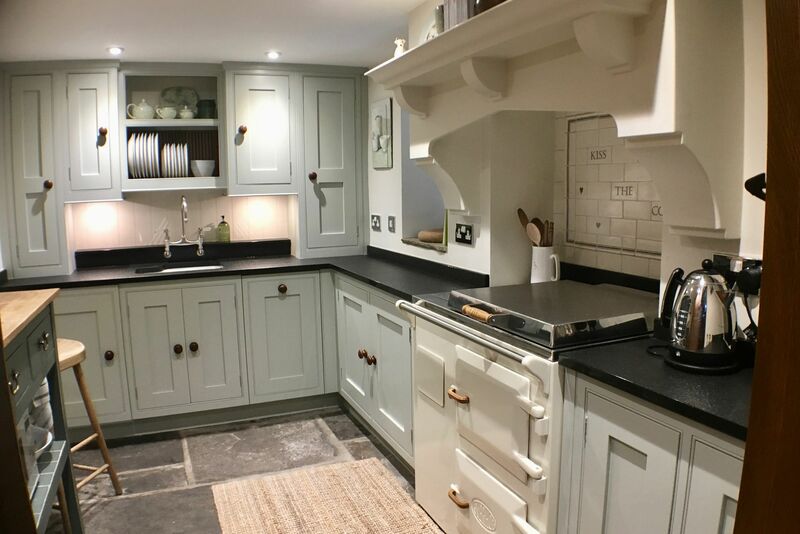 Cook in the sociable kitchen (there are stools for chatterers), eat in the dining hall then relax in the upstairs sitting room in front of the wood-burner. Minimum stay: 3 nights. 4 nights on weekdays. 3 nights at weekends. 3 nights in high season. Towels for drying, poo bags, dog bowl and biscuits. No garden but plenty of walks from the cottage and access to the Pennine Way. Great sniffs and streams to splash in. Dogs will love it - just watch out for sheep in fields. What a fab time we had in your cottage and the lovely surroundings. 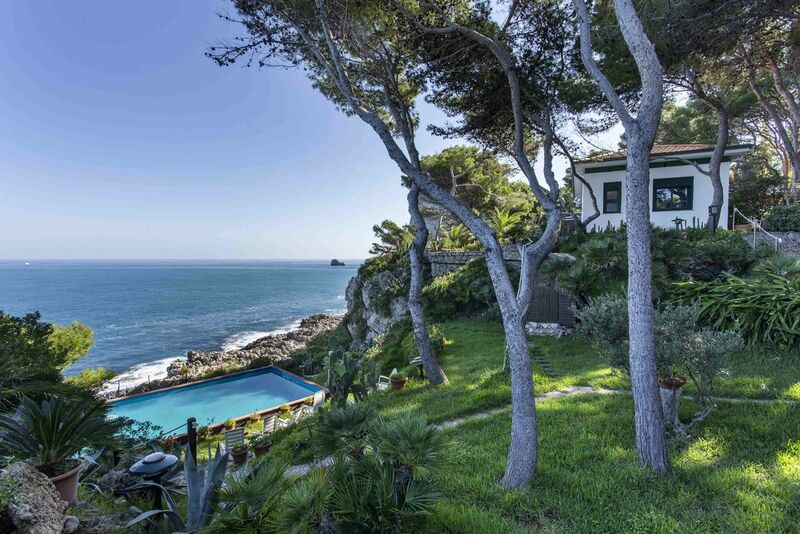 We really admired the way you have renovated the house, some really inspirational ideas. Loved the welcome pack, the wine etc in the fridge and the generous supply of logs - everything you provided was generous and that is lovely. I always use Alastair Sawday for booking holidays and he is always spot on, never had a bad one. Mill Fosse Cottage was up there with the really memorable breaks. Beautiful cottage, so cosy and warm with underfloor heating, the welcome hamper was lovely. The cottage had everything we needed. Thank you. We’ll be back. What a lovely home away from home. Too bad we cannot stay longer - the next time! Since there is so much more to see and discover. Enjoyed this perfect cottage thoroughly. Booked the cottage for my lovely husband's birthday. We have had a brilliant time. Your cottage is perfectly done! We have not been able to see anything that is not 'just so'. The kitchen and shower are perfect. Bed brilliant. So close to Hawes village and loved going to the pub for a pre-dinner drink. We also enjoyed cooking in your kitchen. We intend to come back as the last time we visited Hawes was 30 years ago! God bless Alistair Sawday’s special places to stay - never lets us down but Mill Fosse Cottage is truly special and best by far. A superb 4 night stay in an amazingly well put together holiday letting cottage, the weather was not with us but no matter as we did not want to stray too far from this lovely bolthole anyway. Dinner at the White Hart. Takeaway from the Chippie. Trips to Hardraw Force and Aysgarth Falls then watched DVD of Robin Hood. Just a few but we’ll return to do the rest in the Spring. What a beautiful cottage - so cosy! Tasteful beautiful interiors Could have moved in and stayed forever!! 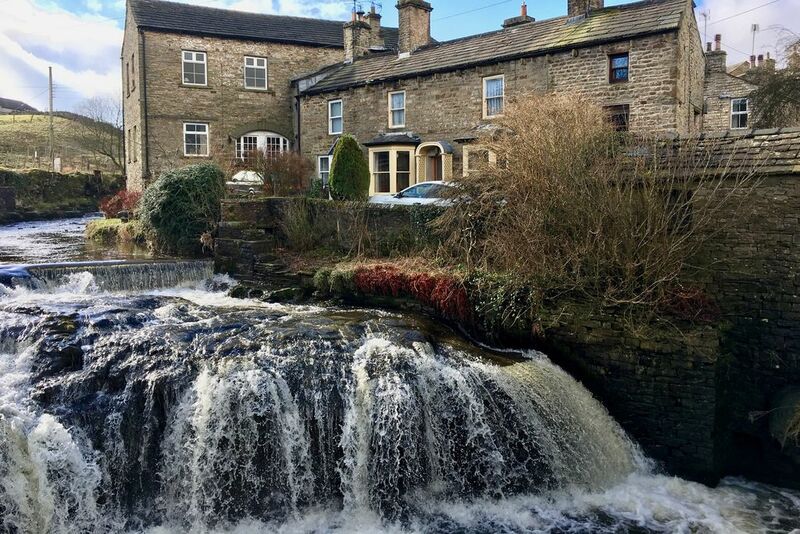 Perfect location beside the beautiful mill race and in the center of the lovely town of Hawes Just perfect!! Such a cosy, comfortable cottage with lovely decor. Perfect location in a fantastic village, with local walks on your doorstep and others in easy reach. Exactly what we wanted for a break in the Dales. Perfect location. Perfect cottage. Wonderful interiors - we’d love to pack it up and take it home! Thank you. Beautiful cottage, our favourite, the decor is lovely. So peaceful & relaxing. We really enjoyed our time here. Hawes has everything. An absolute gem of a cottage to spend my birthday and a week away. The cottage is just stunning and exactly what we wanted. The mix of old and new was lovely. The welcome hamper and the doggie basket just added to the lovely touches. Hawes is a great spot to explore the Dales. We were delighted to arrive at this gorgeous cottage, everything we could have wished for. Lovely welcome pack. Thanks for a great stay. Beautiful Cottage. We’ve had a fabulous stay and made the most of our trip to the Yorkshire Dales. If only we lived in a cottage like this all year round. Our little dog Lucca has also loved his trip and says thanks for the dog treats! Hawes is a vibrant, bustling market town - a self-sustaining working community – set in the heart of the Yorkshire Dales. Home to the Wensleydale Creamery and Museum, a renowned Ropemakers and weekly sheep and furniture auctions. Within a stone’s throw of the cottage are good pubs and cafes, traditional food stores and antique shops. It’s surrounded by wonderful walking country and Aysgarth Falls, captured by Turner, Ruskin and Wordsworth, is a 20-minute drive. The Wensleydale Creamery is one of the top tourist destinations in the Dales. Just a short walk from the cottage you can watch the famous cheese being made, buy scrummy cheese to take home, visit the gift shop and enjoy the 1897 coffee shop. The Dales Countryside Museum tells the story of the Yorkshire Dales and the local people who have shaped the landscape for thousands of years. There are galleries, special exhibitions, a funky cafe and gift shop filled with items made by local artists. The UCI Road World Championships are coming to Yorkshire on 21st to 29th September 2019. The worlds best cyclists will take part in Britain for the first time since 1982, with the Mens Elite Road race coming through Hawes. From your doorstep there are fabulous walks taking in spectacular waterfalls, wonderful scenery, ancient woodlands, drystone walls, flower-rich hay meadows in the spring and not forgetting the sheep, there's a lot of them. The impressive Hardraw Falls are located in a lovely woodland setting beside a river, worth a visit especially if has been raining as they positively thunder with energy. Kevin Costner took a dip in them in Robin Hood Prince of Thieves. If you fancy hiring bikes for the day go to Stage 1 Cycles, located in the beautiful old Hawes railway station. If cycling is not your thing try the lovely coffee shop, Firebox, all the cakes are freshly baked, plus tasty food and great coffee. Aisling and David live in Suffolk and have a passion for renovating properties and interior design – some of their places have featured in national magazines. Aisling has done lots of different things – worked as a London Trader, been in the TA, in publishing and run a vintage market stall. She now works with David who designs for retail interiors.